Termite Inspection: Why It Is A Must For Your Home? Most of the times, homeowners usually ignore the termite problem until it’s too late and this is one of the major reasons why most of the goods or valuables in your home gets damaged. The worse thing is that these small mini creatures can do serious damage, and this is something which even the insurance companies won’t be able to deal with. 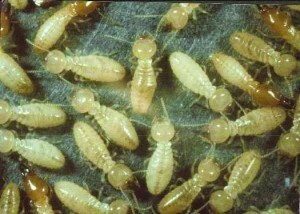 Now, you must have got an idea of why there is a growing popularity of termite treatment Perth. Unfortunately, termites attack in a silent mode. From the windows to door jams, potted plants; you can find them everywhere. The good thing is that there are many pest control companies who will do a free inspection on the property. Therefore, you don’t need to take any stress when you have hired a professional. What you should consider is the experience of the professional and of course, hire someone who keeps an eye for small details which will help you make the right choice. If your home is neat and clean, then you simply don’t need to worry but if there are still termites it is the very right time to look for qualified professionals. There are many companies which do a free termite inspection for a specific period of time. Make the most of this situation and try to get the inspection done at a regular interval. Never ever delay the process if the termites in your home are growing rapidly. Keep all these great tips in mind to hire the best professional for Termite Inspections in Perth. Previous PostDon’t Let The Ant Irritate YouNext PostHow To Find Effective Rodent Control Services?